With so many videos on the internet today, you may come across a situation where you want to watch a video in a different way than how it was originally recorded. For example, you may be looking for a way to watch an educational video at a one-and-a-half or two times the speed that it was recorded. You may also search for a way to easily skip around to certain important parts of a video. The possibilities are truly endless. With all of that said, we wanted to focus on finding and using slow motion video players. You can use a slow-motion video player to watch and export awe-inspiring videos at a slower speed than they were recorded. Some of the most surprising and shocking videos on the internet are in slow motion, so there is clearly a demand to view slow motion videos along with “normal” videos. There are many slow-motion video players online. And because of this, it can be overwhelming to find the best video player for you. Much time can be spent trying to find the “perfect” video player or editor that can suit your needs. There is no need to worry. We have saved you from this trouble and worry. After searching through the internet, we are proud to present our curated list of best slow motion video players. Like all of our other lists, the software below is not ordered based on rank or preference. Our ultimate objective is that you find the best slow motion players that work for you. Having said that, we believe that the following list of slow motion players will suit your needs, regardless of your experience level or your project. Out of full disclosure, Movavi Video Editor is developed and sold by our company. That said, we believe that Movavi Video Editor is one of the best ways to watch and change videos into slow motion videos. 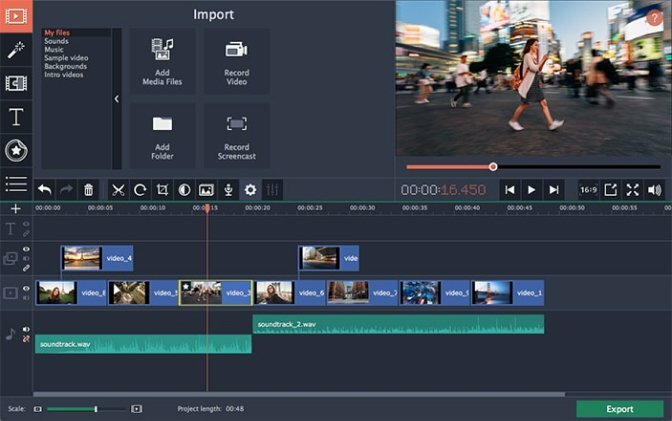 One of the many effects offered by Video Editor is a slow-motion feature, where you can watch videos in slow motion and even export those videos in slow motion to others. Video Editor prides itself on its many features and its short learning curve. In fact, Movavi Video Editor says that it only takes 20 minutes to master. Once you are done viewing and editing your videos in a slow motion format, you can easily export your videos in popular formats, including direct sharing on video sharing sites like YouTube. You can download Movavi Video Editor for free on Windows devices (specifically Windows 10, Windows 8, Windows 7, Vista, and XP). VLC Media Player is an open source multimedia program. Some of VLC Media Player’s features include the ability to view and edit videos with a slow-motion effect. VLC Media Player prides itself on being simple to use, fast, and powerful. It plays most multimedia files, along with DVDs, CDs, VCDs, and other various streaming protocols. You can use VLC Media Player on virtually any device, including Windows, Mac, Linux, Android, and iOS. As with these other players, VLC Media Player is completely free. There is no spyware, ads, or user tracking when using VLC Media Player. 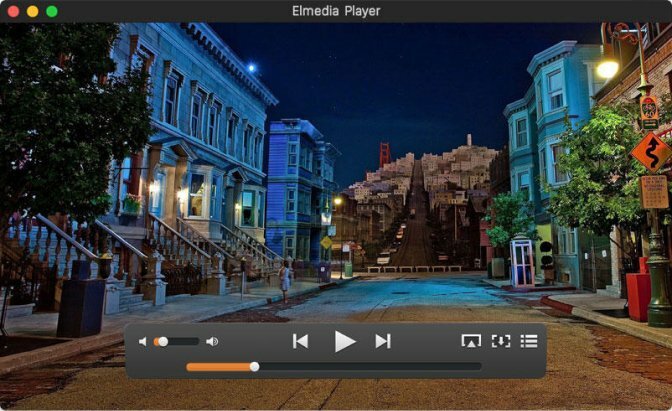 Elmedia Player is a self-described “universal video player.” It prides itself on its versatility. It can play videos in a wide array of file formats like FLV, MP4, MOV, DAT, and MKV. Elmedia Player provides advanced video playback and can make video slow. Along with the slow-motion features, some of the other features of the player include the ability to loop any audio or video clip continuously, create and manage bookmarks at particular parts of your video, and native volume control. Elmedia Player is available on Mac, Windows, Android, iOS, and Apple TV. It also provides a thorough user manual should you have any questions about using the video player. Created and developed by TeleStream, Flip Player is another video editor that allows you to play and create videos in slow motion. 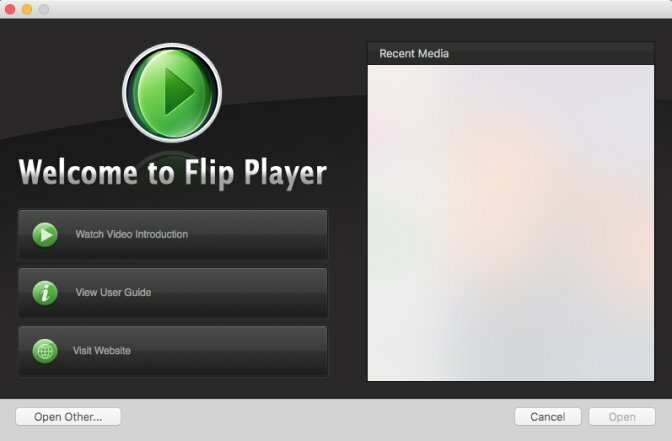 Compared to other video editors and players, Flip Player is simpler in terms of its appearance and features. FlipPlayer has both a free and paid version. The paid version costs USD $29. Unfortunately, the paid version is the only version that contains slow motion playback. That said, some additional features in both the free and paid versions include non-intrusive playback controls, playback of your video in popular formats, instant replay navigation, and a feature that lets you dim background lights. Like Elmedia Player, Flip Player has released a user guide to answer frequently asked questions. Slow Motion Video is one of the simplest video players on this list, yet it focuses on making it easy to view slow motion video. Created by Lachlan, Slow Motion Video plays your videos in slow motion or, if you’d like, even in double speed. According to the creators, Slow Motion Video can be used for things like watching sports or dancing videos or even just viewing hilarious videos with your children. 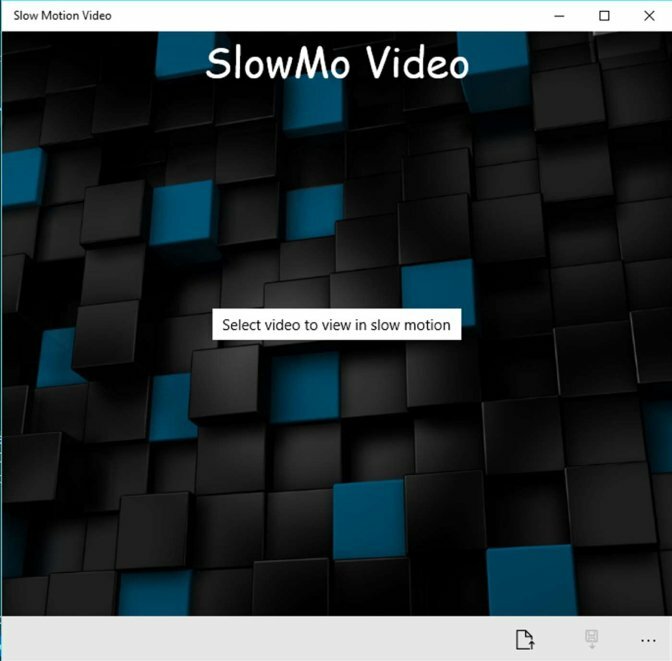 Slow Motion Video is available on PCs that are running Windows 10 or higher. You can find it in the Microsoft store. 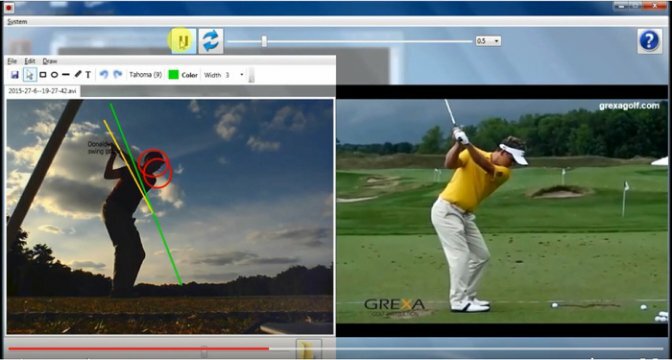 ProAm - Slow Motion Studio can turn your laptop into a slow-motion capture and analytics tool. It is only available on Windows. Slow Motion Studio allows you to record live video at 125 frames per second. Some of the features available on Slow Motion Studio include immediate side-by-side analysis, the ability to add your own drawings to each and every video, and to continuously record video. Slow Motion Studio is mostly targeted for individuals in the sports industry. It also prides itself on its simplicity of use. Finally, ProAm - Slow Motion Studio is for Windows. SloPro markets itself as the number one slow-motion video app on iTunes. There is a three-step process to use SloPro. You first shoot the video that you want to capture. From there, you edit the video and add slow motion effects using the software’s editing system. Finally, you can share your slow motion videos to popular websites like Facebook and YouTube. SloPro also offers a pro upgrade that allows you to remove watermarks, export your videos to your camera rolls, and email your videos. Watching and editing slow motion videos can be an extremely fun experience. Finding the best editor and player, however, is much less fun. Even though there are many slow-motion players on the internet today, the seven players and editors listed above are the easiest to use, provide the most flexibility to play and edit your videos, and have great documentation to answer any questions that you may have. Whether you choose Movavi Video Editor or something else, we hope that you use one of the above video players for your slow motion needs. 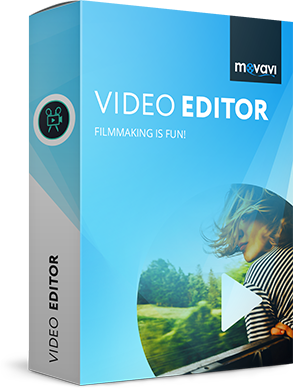 Having said that, if you have any questions or would like to learn more about Movavi Video Editor, don’t hesitate to contact us. You can download a trial version of our program by clicking here.